The Table Tennis Fence subverts the fence as a dividing element. 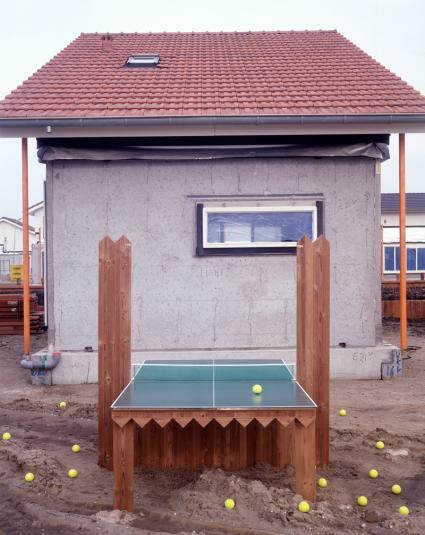 A built-in ping pong table can be opened for neighbours to play with each other, transforming the fence into a meeting place. Share Fence is a related project with cut-outs in the shape of gardening tools like trowels and a watering can. Neighbours can hang tools to be shared in fence holes where they are accessible from both sides. Droog Design was founded in Amsterdam in 1993 by Bakker and Renny Ramakers. NEXT Architects was founded by four graduates from the Delft University of Technology.